5% fermented in old large-format barrels. A very forthcoming nose showing everything from buchu to lime, honeydew melon and granadilla. Rich and full – super-concentrated fruit makes for nicely coated acidity and some paprika bite on the finish adds interest. Rock ‘n roll. 25% whole-bunch fermented. Matured for 22 months in French oak, 31% new. A seductive nose of red fruit, roses and lavender, pepper and spice. The palate is very fruit forward with moderate acidity and soft tannins. Carries its 15% alcohol well. Matured for 22 months in French oak, 48% new. Cranberry, red cherry, fynbos and oak spice on the nose. Medium to full bodied, good fruit delineation, fresh acidity and fine tannins – a carefully judged wine. 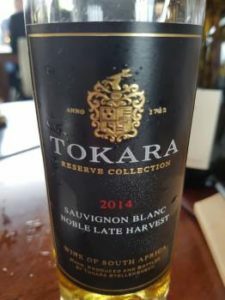 Mainly from Elgin Sauvignon Blanc but includes a small portion of Semillon. Fermented and matured for eight months in 225-litre French oak barrels, 33% new. Green and yellow apple, apricot, honey, mushroom and a subtle herbal note in the background. Great concentration but equally great freshness, a saline quality to the finish. Executed with precision.